Our F308 has Volkswagen Power Engine and it is a combination of technology, aerodynamics and powerThe track of Vallelunga, easily reachable from Rome, which is about ten kilometres away, includes new garages, a wide main start/finish straight and a lot of services for welcoming drivers and their guests to spend an unforgettable day on the track. 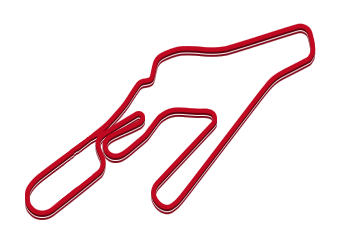 Dallara Formula 3 is the most successful racing series in the world . 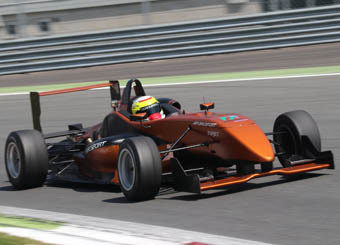 90% of the teams who want their drivers to compete in the international series choose Dallara .Our F308 has a 2 liters 4 cylinders Volkswagen Power Engine (so named after its derivation from the standard one of a Volkswagen F3, but with extra 30 hp), is a combination of technology , aerodynamics and power . Its 250 hp of power generated by the 4-cylinder engine and its appropriate balance even allow you to reach 260 km / h.
The aerodynamics of this car is without any doubt, the most important feature , thanks to the 308 , Dallara has been able to test new solutions derived from Formula 1. Driving it gives a sense of safety and efficiency that other cars can not provide. This car is recommended to those who have already had an experience on our F302 at least. ( link ) Drexler 6-speed sequential trasmission , 6000 Rpm , carbon clutch , ventilated brakes with a carbon air conveyor.